Your body is compromised of up to 60%* water. After oxygen, water is the most basic need for human life. It is easy to see why drinking the best water is just as important as breathing the cleanest freshest air and consuming the healthiest foods. Water is essential in health and vitality. On a cellular level, water is responsible for getting nutrients into your cells. 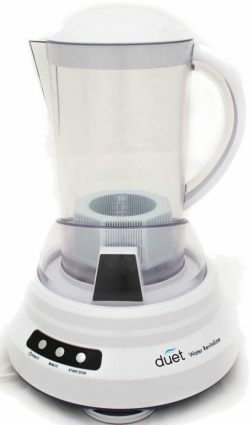 It is the means by which we flush toxins and metabolic waste from our bodies. It is even essential in how our brain and nerves communicate throughout our bodies. By drinking water processed through the Duet you are enhancing your body�s ability to maintain balance. The quality that gives water its life and energy is its structure- the specific hexagonal ordering molecules forming a coherent matrix capable of faster intracellular movement and more rapid information exchange. Many scientists believe that by maintaining the liquid crystalline properties of water within our bodies helps support vibrant life and longevity. The duet works by utilizing the natural spiral movement found in nature. Nature uses vortices (formed as water moves), electromagnetic fields (from the Earth and from her rocks and minerals), and salts (minerals in ionized form) to create water�s liquid crystalline state�structured water. 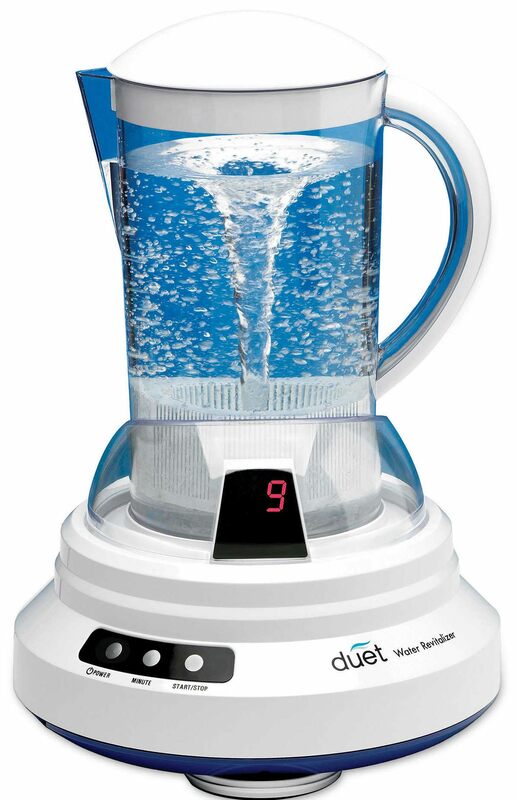 The Duet Water Revitalizer uses these same natural forces by spinning water (vortex) within a magnetic field while releasing tiny amounts of minerals from the basket in the base of the pitcher. This process returns water to its living, liquid crystalline state with high levels of oxygen and vital energy. 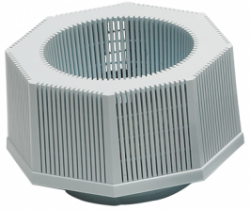 The Mineral basket is the "heart" of the water revitalizer. It can last about 3000 minutes or 380 uses. It contains Ceramic Tourmaline Balls, Ceramic Ion Balls and Prills which work to enhance the properties of the water being vitalized. Please Note: The Duet is not intended as a water purifier. Although it will reduce the amount of chlorine and fluoride in municipal water (as the water spins), it is not intended as a water purifier. It is still recommended to use the best water you have.